Have questions such as ” What can Social Security money be used for? ” SSDA USA is here to help! While the Social Security Administration (SSA) does its best to serve retirees, the impoverished, and the disabled, there are so many rules that it can be difficult to understand important information. Questions such as, “ What can social security money be used for? ” and “ How does work affect my social security? ” are quite common, especially during the holidays. Social Security isn’t as complex as it seems. 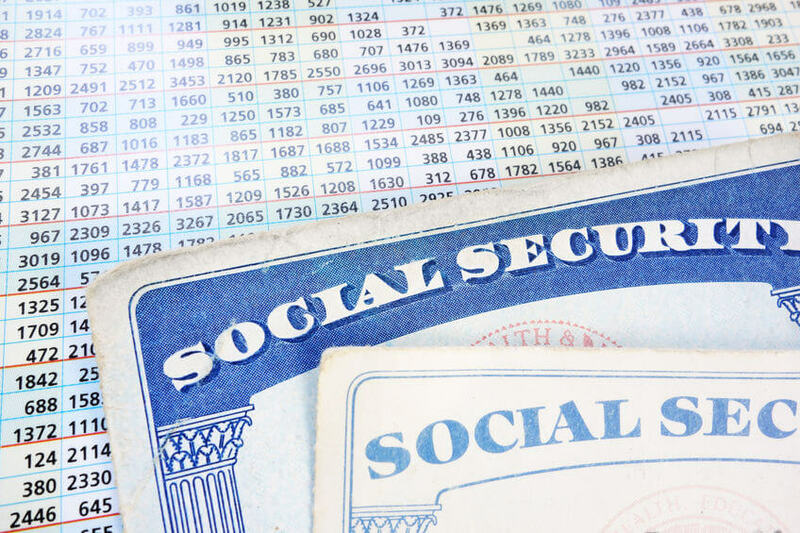 Once you unravel the thread, the rules of Social Security are much easier to decipher. So, allow us from Social Security Disability Advocates USA explain the basics to you. Social Security is a federally run program that aids people who are retired, impoverished, or disabled. There are a variety of programs that are run by the Social Security Administration, and they all have distinct rules on how to qualify. Social Security Disability Insurance (SSDI) is for people who are disabled. The SSA defines “disabled” to mean that 1) You suffer from a condition that is expected to result in death, or 2) That has lasted or is expected to last for 12 months, and 3) You are unable to earn above the Substantial Gainful Activity (SGA) limit. The SGA for 2018 is $1,180 per month, or $1,970 if you are blind. For 2019, the SGA is $1,220 or $2,040 if you are blind. Earning above the SGA will result in the loss of your SSDI benefits. To qualify for SSDI, generally, you must have earned 40 work credits. If you earned the maximum number of credits (4) per year, then that equates to 10 years of work. Younger people need to have earned fewer work credits, generally. Supplemental Security Income is for people with limited resources who are blind, disabled (still according to the SSA definition of disabled), or age 65 or older. There are no work credits required, and qualifying for this program is entirely need based. It is possible to qualify for both SSI and SSDI. Retirement benefits can be collected as early as age 62. However, you’re usually better off waiting until your full retirement age (anywhere from 65-67). This is because the SSA will reduce your benefits if you retire before your full retirement age, so be careful when you choose to retire. Before you collect retirement benefits, you must have earned 40 work credits. The SSA uses a formula to calculate how much you will receive. In short, the more you earned during the time you were working, the more you will receive. When Do I Get my Social Security? When you get your Social Security payment depends on a few factors. 1) The type of Social Security you qualify for, and 2) Your birthday. When Wednesdays occur on federal legal holidays, you will be paid the Tuesday before. This means that for December, 2018, people born on the 21st or later will receive their benefits after Christmas, so prepare in advance for holiday shopping! If you’re receiving SSI, you should receive your payment on the first of the month. If the first of the month is a federal legal holiday, you will receive your payment the day before, unless the first is a Monday. In that case, you will receive your payment the Friday before the first. If you receive both SSDI and SSI, you should receive your payments on the third of the month. If the third falls on a weekend, you will receive payment the Friday before. You should also keep in mind that Social Security benefits become available to you the month after you become eligible, usually. For example, if you become eligible in November, 2018, you will not receive your benefits until December, 2018. You can choose to have your Social Security payments deposited directly to your bank account. This is a highly popular option since you don’t have to worry about losing your check or that funds will not be transferred if you are out of town. The alternative to direct deposit is reloading your Direct Express® debit card. This card works anywhere that accepts MasterCard®. You can also use this card to get cash back from grocery stores, or to purchase money orders. How Does Seasonal Work Affect My Social Security? Seasonal work can affect your SSDI or SSI payments, depending on a few factors. It is important to first note that seasonal work does contribute to your Social Security work credits. If you have SSDI, earning above the SGA limit can reduce or entirely cancel your benefits. However, there is a safety net: the trial work period. The trial work period is a nine-month period in which you still receive your SSDI benefits while working. This is to encourage disabled individuals to go back to work, if possible. If your work attempt is unsuccessful, or you were let go because of your disability, you will still continue to receive your SSDI benefits. In addition, if you continue to earn above the SGA after nine months, you will no longer be considered disabled, and your SSDI benefits will stop. If you have SSI, earning above certain income limits, or possessing above certain asset limits, can reduce or cancel your benefits. For 2019, the individual income limit for SSI is $771 per month, and the asset limit is $2000 ($3000 if a couple). Unlike SSDI, SSI does not offer a trial work period, and the moment you obtain SGA, your benefits will stop. Certain things such as receiving free food or shelter could be counted as income (called in-kind income), and a variety of other things (such as parental or spousal income) could affect SSI eligibility. What Can Social Security Money be Used For? Many people wonder “ What can Social Security money be used for? ”Generally, there are few restrictions on what you can use your Social Security funds for. Restrictions include purchasing anything illegal, for example. However, just because there are few restrictions doesn’t mean you shouldn’t be wise with your money. You should always spend your money on necessities before luxuries! Use your Social Security money to pay for food, your rent, your utilities, and other essentials before purchasing luxury items. In addition, purchasing luxury items can cause you to lose your benefits. For example, the asset limit amount is $2,000, so if you have more than that in the form of assets, your benefits will stop. Have Questions About Social Security? Contact Social Security Disability Advocates USA today! We at SSDA pride ourselves in our commitment to helping you with all your Social Security needs. If you have any questions about your Social Security, call us anytime at 602-952-3200. Alternatively, you can contact us online or check out our LiveChat feature. Do Your Children Qualify for Social Security Benefits?